This session will give you ideas and tips to make the employment process smooth and successful. Invaluable whether you already have established teams of people or are thinking of employing your first staff member. Our expert guest speaker this month is Jayne Griffiths, founder of My HR Adviser. 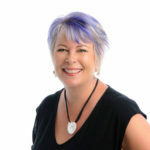 Jayne Griffiths runs My HR Adviser, a Perth based company that helps small and medium businesses with all their Human Resources needs. Jayne has 15 plus years of experience in senior HR roles and works with a large variety of companies from many business sectors. Jayne is also the immediate past President of Stirling Business Association and is very familiar with the issues that small businesses face. There will be plenty of time for Q and A to discuss bob group members’ specific issues and goals. WHY USE A SERVICE LIKE My HR Adviser? Business Owners Board is pleased to have Jayne as one of its guest presenters. Business Owners Board (BOB) is a confidential group of business owners who form an advisory Board of up to 15 members and meet once per month, for four hours, to review the performance of their own business and assist other to develop theirs. It is restricted to the owners of the business only.